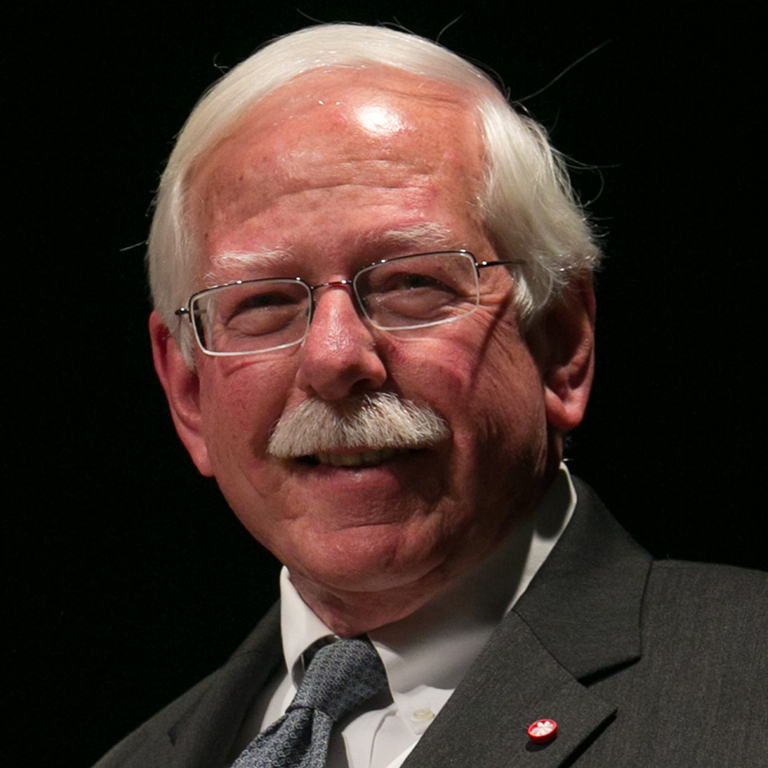 William M. Plater is Executive Vice Chancellor and Dean of the Faculties Emeritus at IUPUI and Chancellor’s Professor Emeritus of Public Affairs, Philanthropic Studies, and English. From 2012 through 2014, he was Senior Advisor for International Affairs of the WASC Senior Colleges and Universities Commission, where he served as a Commissioner from 2005 through 2011. Plater served as the Indiana University Dean of the School of Liberal Arts (1983-87), Executive Vice Chancellor and Dean of the Faculties (1987-2006), and Director of the Workshop on International Community Development (2006-2012) at IUPUI, sponsored by the Center on Philanthropy and the School of Public and Environmental Affairs, until his retirement in 2010. Before joining IUPUI, Plater was Associate Director of the School of Humanities at the University of Illinois at Urbana-Champaign, where he earned BA, MA and PhD degrees in English. From 2012 to 2013, Plater served as senior advisor for education strategies at Course Networking, a learning technologies company providing global networking services for academic purposes through social media. He was a director of the management committee of Epsilen, a learning technologies company owned in majority share by the New York Times and senior advisor for education at Epsilen from 2010 to 2011. Plater currently serves as a member of the advisory boards for the Carnegie Community Engagement Classification, the IU Center on Global Health, and the Greater Indianapolis Red Cross. Past leadership roles have included the Council of Adult and Experiential Learning, The Children’s Museum, WFYI public radio and television stations, the Indiana Humanities Council, and numerous other community boards. In 2006, American Association of State Colleges and Universities established the William M. Plater Award for Civic Engagement, the first national award of any kind to recognize provosts. Students graduating from IUPUI—from bachelors to PhDs—with outstanding civic engagement records are awarded the Plater Medallion for Civic Engagement. IUPUI also established the Plater International Scholarship Program, providing a cohort of entering undergraduates a four-year tuition scholarship, residency in International House, and a study abroad opportunity; the Scholars have a dedicated advisor and are provided international experiences throughout the year. Plater has been awarded honorary doctorates by Purdue University and the National Institute of Development Administration in Thailand. “The Impact of Globalization, Internationalization, and Glocalization on the Future of Faculty Work,” in The Faculty for the 21st Century, in press. “Reflections on the Public Good and Academic Professionalism,” with Gene Rice and John Saltmarsh, in Faculty Work and the Public Good: Philanthropy, Engagement, and Academic Professionalism, 2015. “Assessing Diversity, Global, and Civic Learning: A Means to Change in Higher Education,” with Robert Bringle and Patti Clayton, Diversity & Democracy, 2014. “Research on Service Learning and Institutional Leadership: Toward Improving Practice at a Time of Urgency,” with Lorilee Sandmann, in Research on Service Learning, 2012. “Collaborative Leadership for Engagement,” in To Serve a Larger Purpose; Engagement for Democracy and the Transformation of Higher Education, 2011. “Educating Globally Competent Citizens through International Service Learning,” with Steven Jones, Robert Bringle, and Patti Clayton, in The Handbook of Practice and Research in Study Abroad: Higher Education and the Quest for Global Citizenship, 2010. “The Context for International Service Learning,” in International Service Learning Research, 2010. Quality assurance in international higher education, transnational community and civic engagement, philanthropy in its international context, public policy related to higher education, philanthropy, and civic engagement. Transnational civic and community engagement, civil society, and the role of philanthropy in social change. “The Opportunities and Challenges of Transnational Quality Assurance,” with Denise DeZolt and Ralph Wolff, International Network of Quality Assurance Agencies in Higher Education, Chicago, 2015. “WASC Senior College and University Commission’s International Quality Assurance Programming,” Asia Pacific Higher Education Research Partnership annual meeting, East-West Center, Honolulu, 2014. “Transnational Quality Assurance in Higher Education: A Call for International Accreditation,” Anáhuac University Congresso, Mexico City, 2014. “Internationalization, Accreditation, and Alignment: The Changing Ecology of Higher Education,” NAFSA National Leadership Forum, St. Louis, 2013. “Toward a Transnational Framework: Aligning Internal and External Quality Assurance Practices,” Keynote Address, National Assembly, Federation of Private Mexican Institutions of Higher Education (FIMPES), Mexico City, 2012. “Workshop on US Accreditation,” National Assembly of FIMPES, Mexico City, 2012. “Internal Versus External Quality Assurance Frameworks,” National Assembly of Chilean Universities, Santiago, 2012. “Higher Education after the Great Disruption,” panel with Felice Nudelman, Denise Dezolt, Sharon Linzey, and Evan Nisonson, WASC Academic Resource Conference, Costa Mesa, 2012. “Acknowledging Philanthropy in Faculty Work: A New Approach to Understanding the Professoriate,” with Genevieve Shaker, Ann Austin, Tom Nelson Laird, and Richard Turner, AERA, Vancouver, 2012. “Fostering Civic Learning with ePortfolios,” with Robert Bringle and Kristin Norris, AAC&U, Washington, D.C., 2012. “Creating a Culture of Democratic Engagement,” panel with John Saltmarsh, Matt Hartley, Kerry Ann O’Meara, and Lorlene Hoyt, AAC&U, Washington, D.C., 2012. “The Future of the Academic Profession,” panel presentation with Eugene Rice, Lorilee Sandmann, and Kerry Ann O’Meara, AACU, Network for Academic Renewal Conference, Philadelphia, 2010. Member, National Advisory Board for the Carnegie Community Engagement Classification. Consultant, Ralph Wolff and Associates, Consultants for Visioning, Strategic Thinking, and Organizing for Change in Higher Education.